Thanks again to everyone who participated in the Holiday Blog Party! It was a fun week and I know the mom entrepreneurs appreciate all of your support! Below is a list of the prizes and their winners. Congrats to everyone!! If you see your name below you will be getting an e-mail from me shortly. Thanks again! What they do:: Klink Consulting offers LIVE online Virtual Career Events for Home Based Businesses. Celebrate Your Success is a great inspirational book that features successful business owners and how they became successful. How she finds balance:: I have 4 small kids, so I work little bits and pieces every day. I work during their nap times and after they go to bed. I also make a point to make 1-2 phone calls every hour on my business. After the phone calls, then I take time to play with the kids. Her best advice:: Don't give up on your business. Play and win:: List 3 companies featured in Celebrate Your Success. Don’t forget to visit the official party post here to register for the party and read all the rules and details!! You can earn extra credit by answering the play and win question above in a comment on THIS post! What they do:: Yoli is a new nutritous blast cap. It contains a your daily servings of fruits and vegetables, Vitamin C, Probiotics, and more. Her best advice:: Work consistently on your business every day. Play and win:: Why is the Yoli Blast Cap freeze dried? What they do:: Braelyn Bounty Bug is an innovative maternity and baby essentials design company. In touch with the needs of today's mother, the Company's award-winning Prego Planner is a fun and fashionably functional pregnancy organizer. 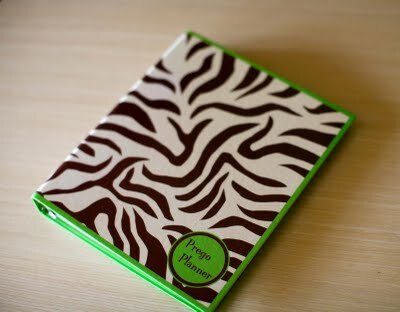 The only one of it's kind, the Prego Planner gives moms-to-be the ability to arrange and rearrange their own pregnancy planner. The expectant mother can take out pages she doesn't need and move pages where she wants them to go. A three-ring binder comes beautifully decorated with pre-printed pages for all the planning pregnancy requires. Among many other unique features, the mom-to-be can also purchase refill pages if she has the need for them. Another innovative product by Braelyn Bounty Bug is the Tot Tag. Also known as the "ultimate diaper bag tag", the Tot Tag is available in three great designs complete with a diaper bag checklist on the back and a concealed identification area. The purpose of the concealed identification area is so the family's contact information is no visible during everyday use for all to see, but if the bag were lost of misplaced, the contact information could easily be found. If my children are at home, I give them a full 1 - 2 hours of "mommy time" in the morning before I dig into my work. Designate every Tuesday night as my "at home date night" with my husband. Work is off limits and we turn the television off, have a good glass of wine, talk about our day and the dreams that we still have. Enlist the help of my husband - I am an extremely blessed woman with an amazing husband that supports me beyond words. He desires to see me and my company succeed and he goes out of his way to help. If my workload is unusually heavy, he will go to work early so he can take off early to come home and watch our children while I work. If the need be, he will make their dinners, give them play time and tuck them safely in bed. Summary: I always put my family first. That may mean that I'm working until 1:00 am, but putting my family first is something I will never regret. Her best advice:: Networking, networking and networking! Networking and relationships are vital to you and your business. Also, create your "big picture" to-do list in an Excel sheet and put a deadline date next to each task. Open the to-do list daily. Setting actual deadlines for yourself will encourage you to get the task completed instead of procrastinating. Save Now:: Receive a FREE Tot Tag with the purchase of any Prego Planner by using the code "MARKETMOMMY" in the Gift Message area of the order form. Please be sure to note the preferred style of Tag. Offer valid through December 31, 2009. What they do:: We offer you the Rainbow, the best in basics for your baby and toddler, luxuriously soft 100% cotton basics in 24 solid colors. How she finds balance:: Moment to Moment. I try NOT to multi task and give whatever I am doing at that MOMENT my full attention. Her best advice:: I don't pretend to have the answers, this job is hard! What they are giving away:: Gift Certificate for your Favorite Garment from Cottonseed Clothing. Shipping Included. Play and win:: What is your favorite Cottonseed color?